EC technology (Electronically Commutated) combines AC and DC voltages, bringing the best of both technologies: the motor runs on a DC voltage, but with a normal AC supply. The EC motor incorporates voltage transformation within the motor. The non-rotating part of the motor (stator) is extended to make room for an electronic PCB board which includes power transformation AC to DC, as well as the controls. EC motor have no slippage losses, reducing losses and increasing efficiency versus AC motors. The new Airtecnics EC air curtains are extremely efficient reducing the running cost of the ventilation up to 67% using EC instead of AC fans. 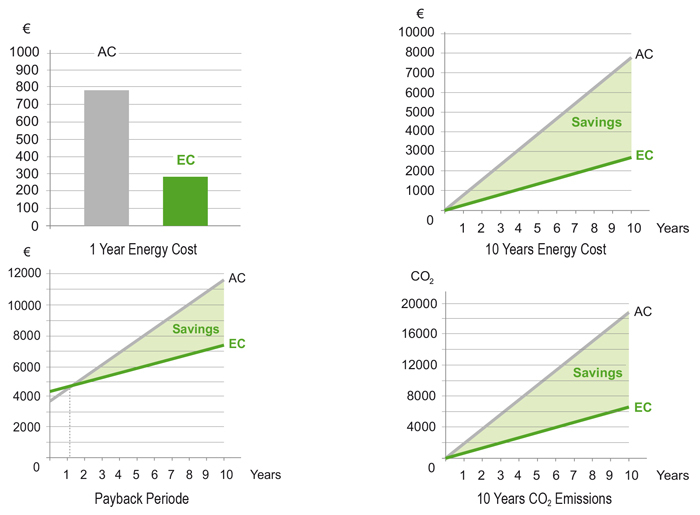 How much money can I save using an EC air curtain? Result: The payback periode is 1,2 years. 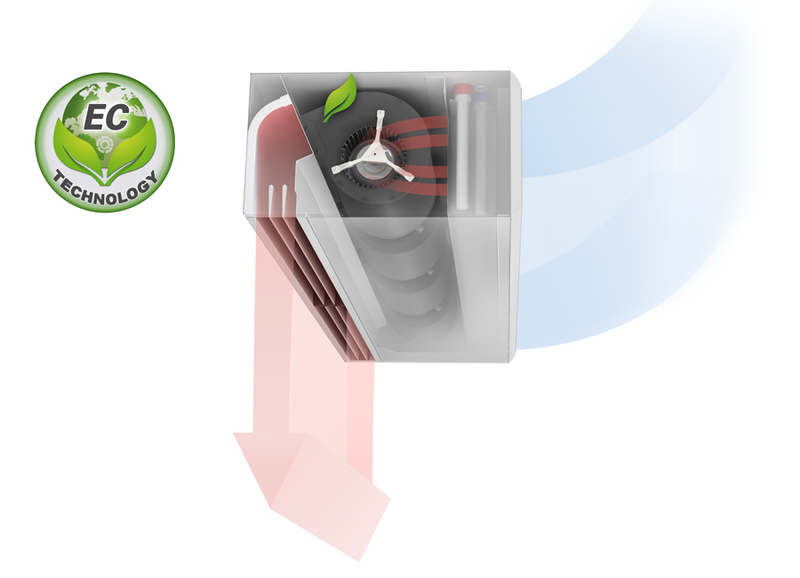 We recover the price increase of EC air curtain in just over a year. We save energy and reduce CO2 emissions to the environment.